President Maduro of Venezuela has said he won't bow down to an ultimatum from five European countries to call fresh elections. 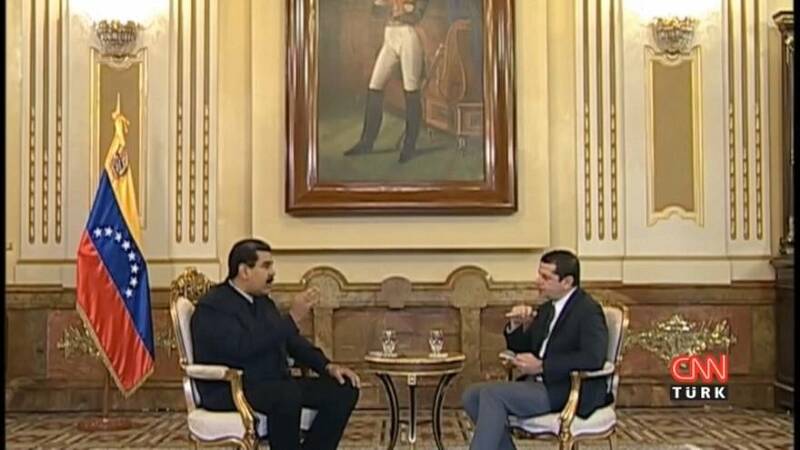 Nicolás Maduro said: "Europe has an insolent position, unsustainable, unpresentable. And it should withdraw its ultimatum. No one gives us ultimata. "If they want to leave Venezuela, they should all go, and now. Venezuela will continue its path, fortunately we don't depend on Europe". Meanwhile, Guaidó has promised an amnesty to the military if they back him in bringing about what he said was democracy and justice. "It's time to be on the side of the Constitution," he said. "It's not time to be afraid, it's not time to back off, it's time to respect the people of Venezuela. Soldiers of Venezuela, I give you an order: Do not fire on the people of Venezuela." The UK, France, Germany, Spain and the Netherlands have joined with several other countries in supporting the 35 year-old opposition leader as president.